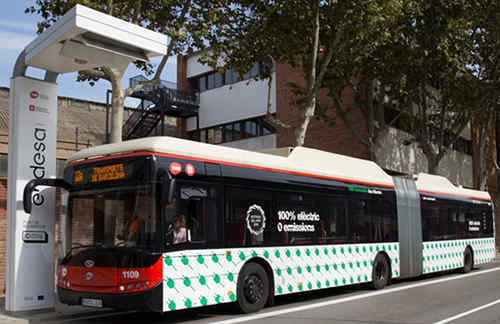 The first ultra-fast pantograph charging point for electric buses in Spain has been recently installed in Barcelona. This initiative is part of the project promoting urban electric mobility ZeEUS (Zero Emission Urban Bus System), funded by the European Union an involves ten cities in Europe. This project started in 2013 and is expected to be completed in April 2017. The ultra-fast charger recharges the battery up to 80% in an estimated time of 5-8 minutes. The battery is fully charged at night, when the buses are in the depot, taking up to four hours.